Seville - these statues are more significant than might first appear. The object being carried by the kings of Castile, Leon, Aragon and Navarre contains the remains of Christopher Columbus, who died in May 1506. 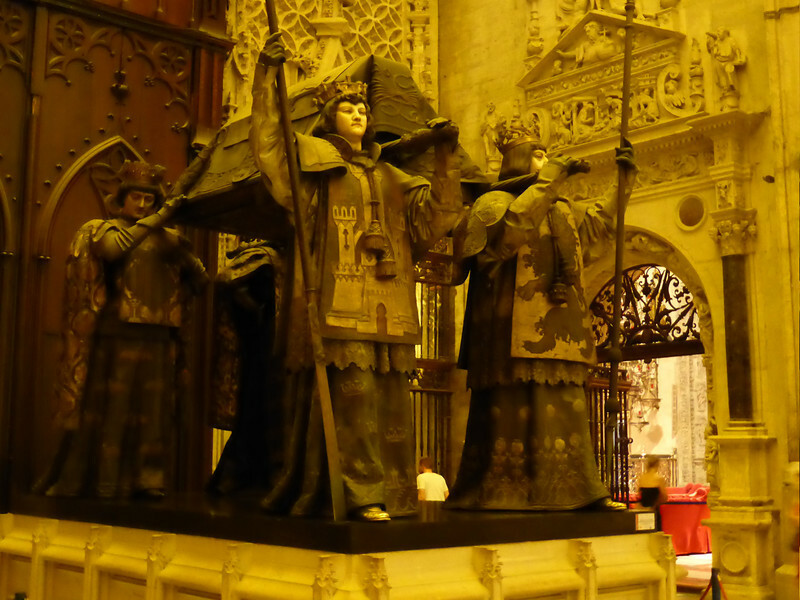 Columbus had been interred in Havana, Cuba for some time but was moved back to the Cathedral of Seville in 1898.